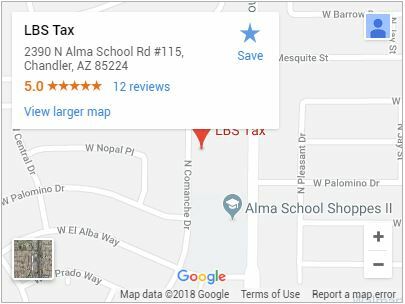 Tax season in Chandler is here, and many are anxious to file their returns and receive a refund in the mail. In general, the bigger the refund is, the better. Fortunately, there are simple ways to ensure that you get the highest refund possible. Take advantage of them today. laws in your favor. Furthermore, accountants are also more detail oriented. They rarely miss small details that pertain to your return and will get you more money. These are a few examples of additional areas that can be written off during tax season. However, there are others. If you feel like you are missing something, contact an accountant for help. In addition to these common deductions, it is important to claim any of the following credits that you may be eligible for. The eligibility requirements for each of these credits vary. However, if you do qualify, these credits can reduce the total amount of income tax you are required to pay. You paid interest and taxes on your home. You incurred large medical and dental expenses. You had high business expenses that your company did not reimburse. Each of these areas has limitations; however, when they are properly allocated, you can increase the amount of your refund. An accountant can help ensure that you itemize properly. Remember, that the IRS has rules and regulations that influence the amount of your return. However, it is completely acceptable to maximize your refund when you follow their guidelines and take advantage of these suggestions.